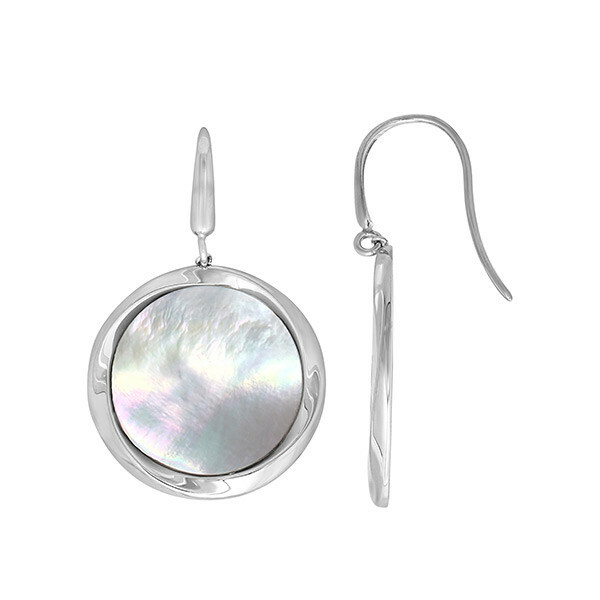 These earrings are a part of the Honora Reflection collection. Crafted in sterling silver, a 22mm white freshwater cultured Mother-of-Pearl edged in precious metal drops from a chic and comfortable French wire. Be sure to check out coordinating pieces to personalize your look. These Honora drop earrings will move with you, swinging and swaying with luster and shimmer.